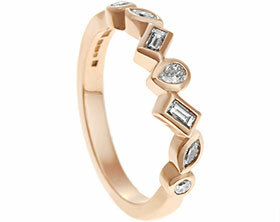 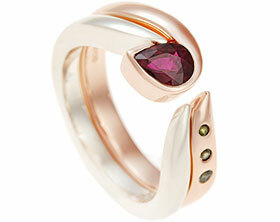 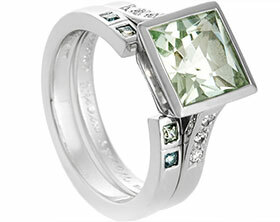 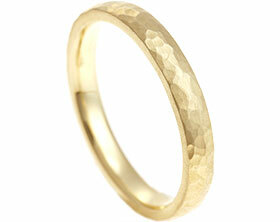 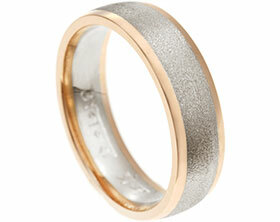 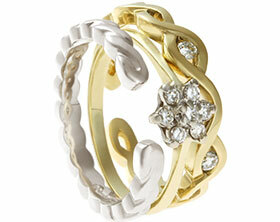 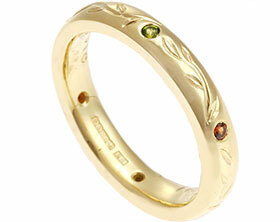 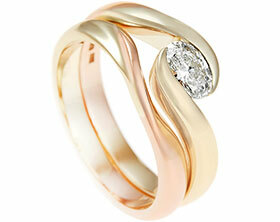 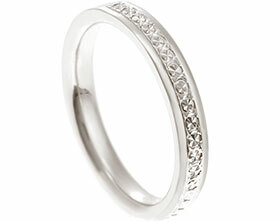 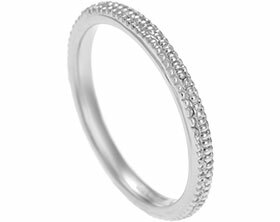 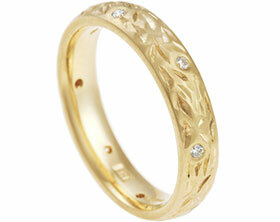 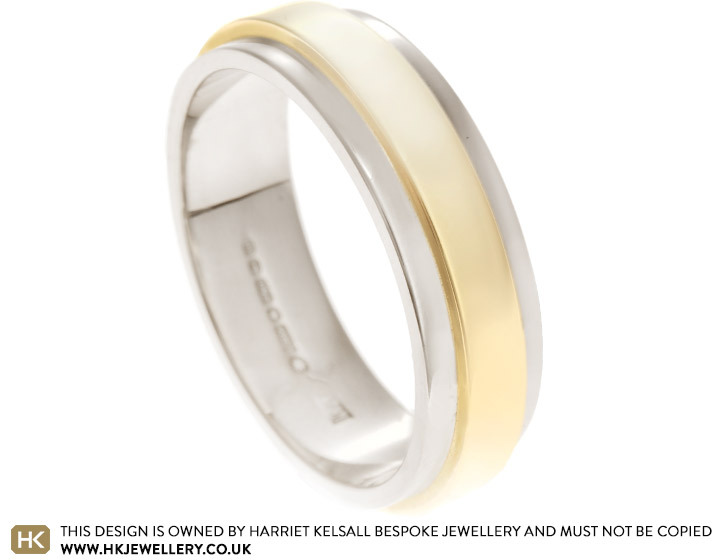 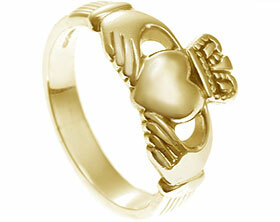 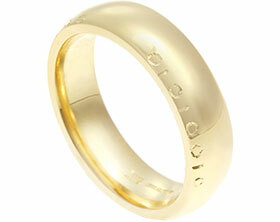 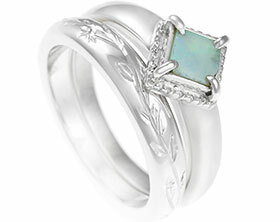 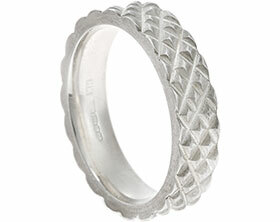 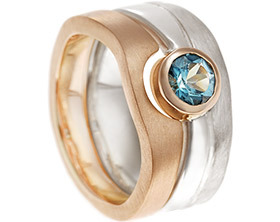 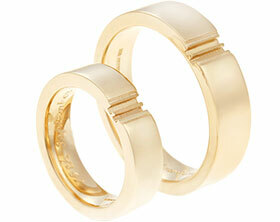 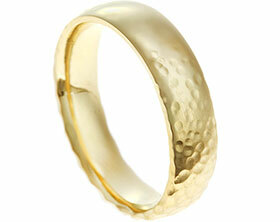 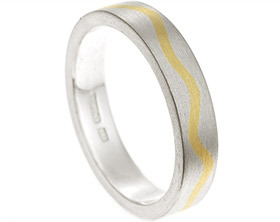 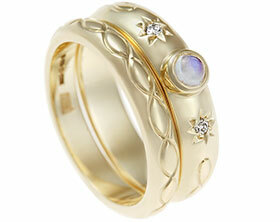 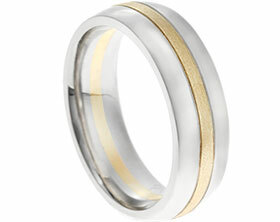 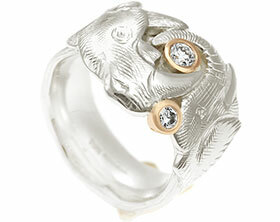 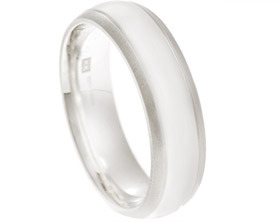 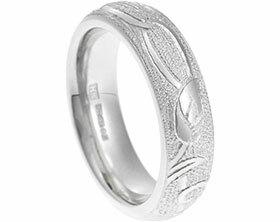 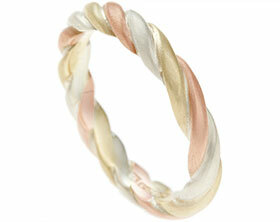 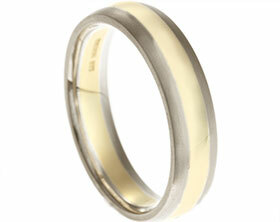 This 18 carat white gold wedding ring features an 18 carat yellow gold overlay. 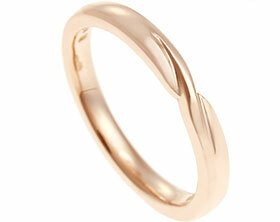 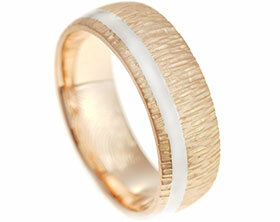 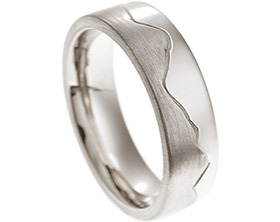 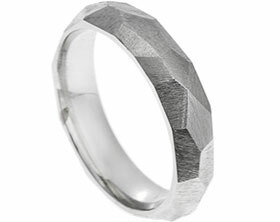 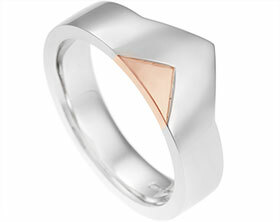 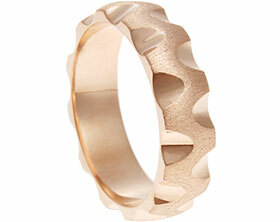 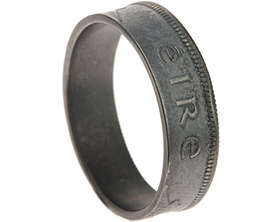 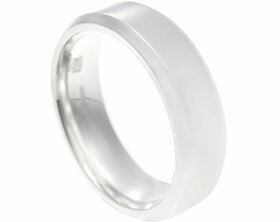 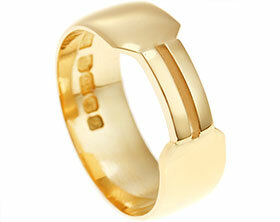 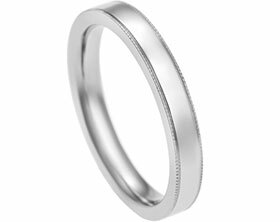 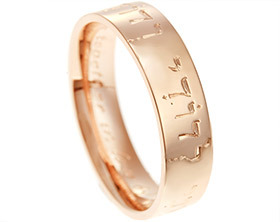 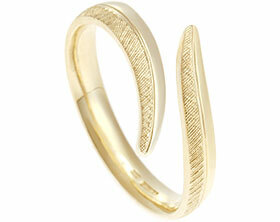 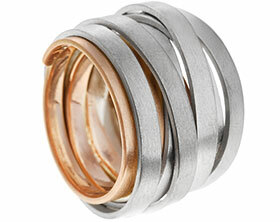 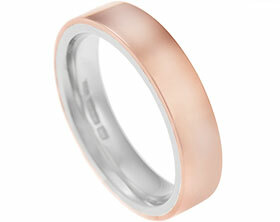 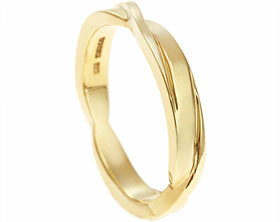 The band measures 6mm wide and has a flat profile. 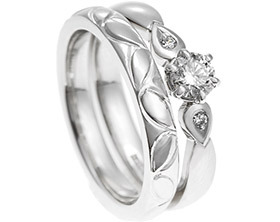 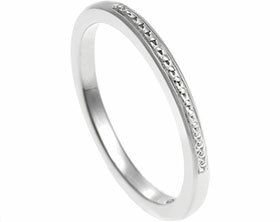 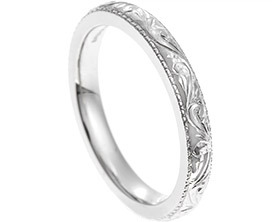 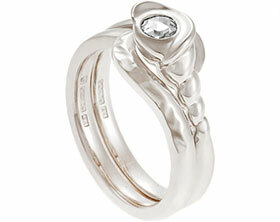 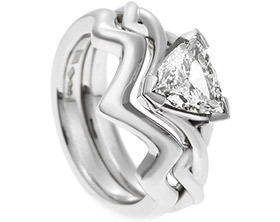 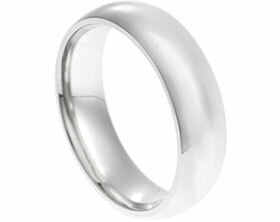 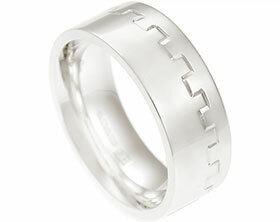 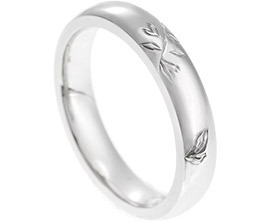 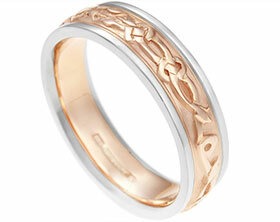 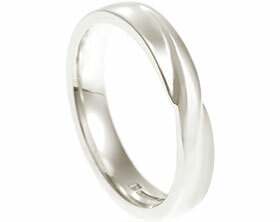 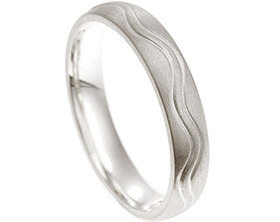 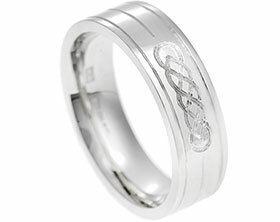 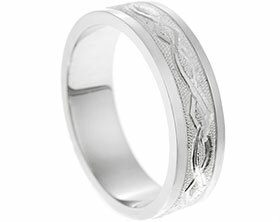 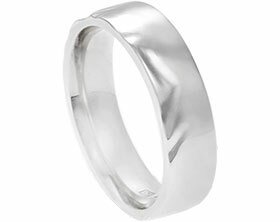 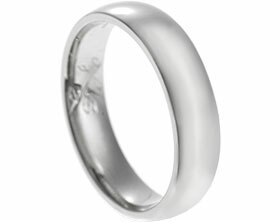 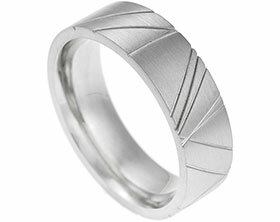 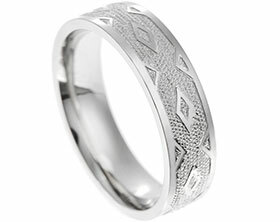 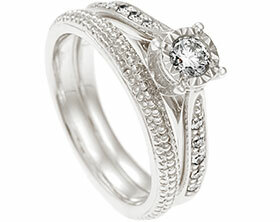 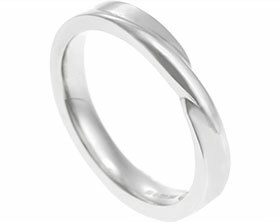 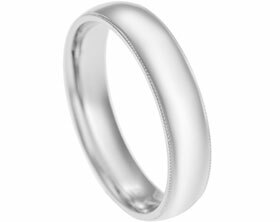 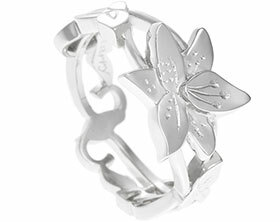 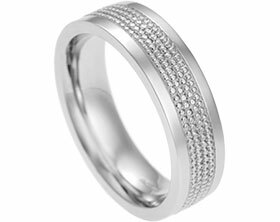 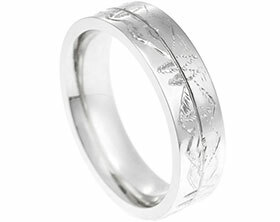 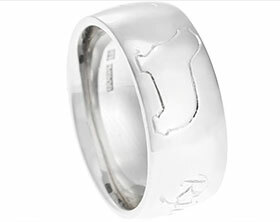 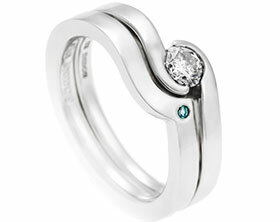 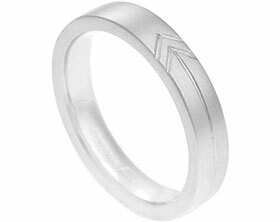 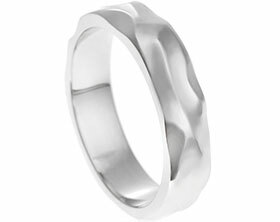 The polished white gold has not been rhodium plated in order to retain the natural creaminess of the metal.